Is your web copywriter faking it? When I began my career as a web copywriter, one of my first assignments was writing web copy for a local ski resort. I had never been downhill skiing before, but I figured I could imagine what it would be like. My writing was hollow and didn’t resonate with the target audience of avid skiers and snowboarders because I had no direct experience with the product. For a web copywriter, having a direct, real experience with the product or service brings the copy alive and gives it a credibility that all the imagination in the world can never produce. I went skiing with a friend and loved it. I became hooked on the experience and wrote some great copy (so I’m told). You can’t beat authentic experience for creating an authentic voice in your copywriting. Last year, we wrote web product descriptions for Sock Shop and we made sure that we were able to see and feel actual sample socks. Sure, we could have described the colours and the composition of the fabrics without ever trying on a pair – or trying out the service. But with the true experience of putting feet into socks, we were acting as customers and getting deep inside their minds. What’s it like to order socks online? Writing audience profiles are a great way to get a web copywriter into the mindset of the real target customer, but they can only go so far. Actually trying out the product – putting socks on our feet – gave the web copywriting authenticity (and enthusiasm). We avoided the usual ‘colour’ and ‘fit’ copy you find on so many e-commerce sites. This highlights a real problem that most in-house writers and marketers face: you’re too close to the business to see it as a customer. It’s incredibly difficult to avoid your company’s jargon and instead focus on the language and experience of the customer. The next time you sit down to write website copy, try being the customer. Order a product through the website and have it delivered to your home. Notice things about the experience from the outside: What was the most surprising part of the process? How did you feel opening the box? 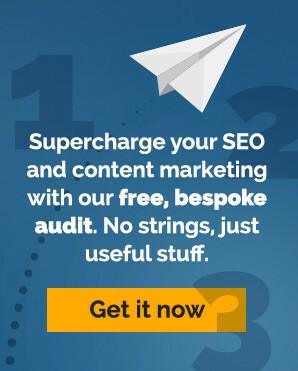 Do this and your web copywriting will instantly improve.